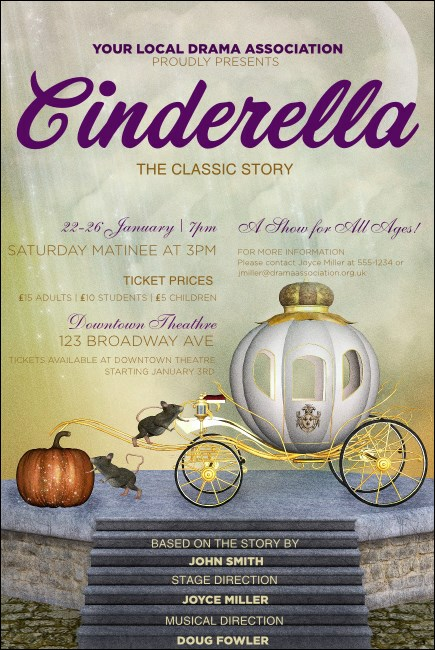 Create your fairy tale event when you post the Cinderella Poster in advance. Posters make a big statement! This happy ending-inspired design features two mice, a pumpkin, and a delicate carriage, all on a dreamy background. Add drama to your performance with the right design templates! Raise awareness of all your events with the right poster from UK Ticket Printing.